Durban, South Africa - December 15, 2007 - Azure Talon today announced the release of version 1.2 of Exces, its popular file encryption software. 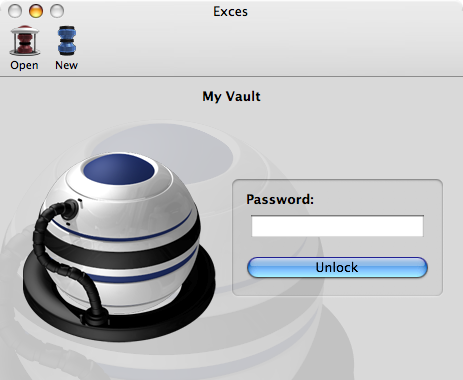 Exces is a tool that lets the users create password-protected vaults. The ease of use and the attractive interface are Exces' key features. Each vault is protected using the same encryption algorithm Apple uses for FileVault - AES 128. Exces features a password assistant, to help choose strong passwords. 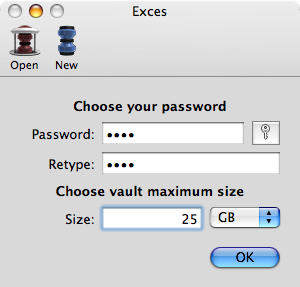 Exces now also has a shrink vault feature, which lets you easily shrink a vault to the minimum possible disk space. Version 1.2 brings many new features and bug fixes. There is now a shrink feature and unlimited storage. Overall, Exces is now more stable and more secure than ever. * Any Apple Macintosh or other computer running Mac OS X 10.4.3 and higher. Exces is shareware, and is available from the Exces web site for $14.95 USD. Review licenses are available on request and for free to any news site or blog. Azure Talon is located in Durban, South Africa. Contact Kenneth Ballenegger. Copyright 2007 Azure Talon. All Rights Reserved. Apple, the Apple logo, are registered trademarks of Apple Computer in the U.S. and/or other countries.